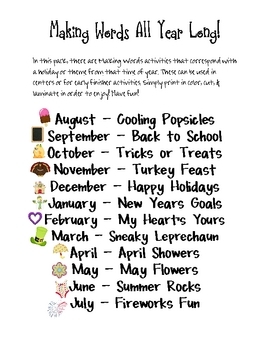 Making Words: All Year Long! 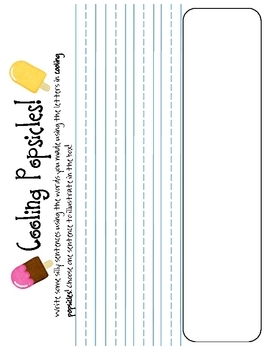 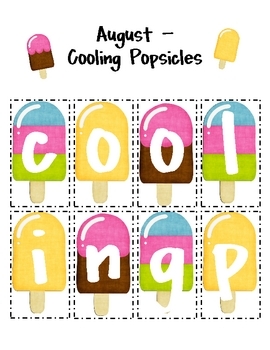 Pack includes 12 sets of making words cards that spell out a phrase that coordinates with the month it fits in (for example, August - Cooling Popsicles w/ popsicle graphics and September - Back to School w/ chalkboard graphics). 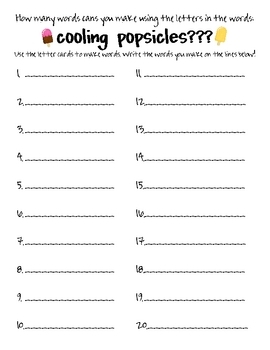 There is also a recording sheet and silly sentence/picture page for each month.